Get Social. Get Your Property Sold! Contact us on (03) 9686 2288. It’s a fact: social media has changed the way we as a society interact with one another. It has also changed the way people search for their next home. Gone are the days when you got up early on a Saturday morning to studiously study the classified ads to find homes for sale and plan for when they were open for inspection. Now, you can easily plan your house hunting online, googling to see what homes are for sale and when they’re open for viewing. If you’re selling your home, you need to make sure that your home is found by buyers doing just this: searching online for a home for sale in their preferred area to live. One of the best ways to ensure that your home shows up in buyer search results, is to make sure your home is featured on the top social media sites, such as Twitter, Pinterest and Facebook. Have absolutely no clue when it comes to Social Media? Don’t panic! 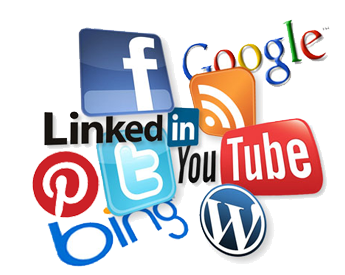 Social Property Selling can take care of your entire sales social media campaign set up for you. We’ll ensure that your home appears prominently online, where it matters most: in front of people looking to buy. Talk to us today about how we can work with you to get your home found online. Click Here to Contact Us Today. Or call our office on +61 3 9686 2288 to speak to us about creating your successful social media campaign.